Okay, I love to laugh. I wholeheartedly agree with the Irish proverb that claims that “a good laugh and a long sleep are the two best cures for anything.” I think it’s good to find laughter in every aspect of life, which, for me, includes books. Cecily Cardew and Gwendolen Fairfax are both in love with the same mythical suitor. Jack Worthing has wooed Gewndolen as Ernest while Algernon has also posed as Ernest to win the heart of Jack’s ward, Cecily. When all four arrive at Jack’s country home on the same weekend the “rivals” to fight for Ernest s undivided attention and the “Ernests” to claim their beloveds pandemonium breaks loose. Only a senile nursemaid and an old, discarded hand-bag can save the day! Yes–I know that this isn’t technically a book, but it’s still literature so I think it counts. Also, it’s my blog so I can do what I want. THE IMPORTANCE OF BEING EARNEST IS SO FUNNY. 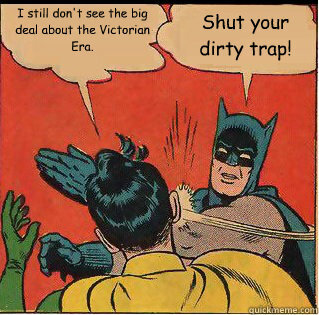 As I vaguely hinted at in my last post, I’m obsessed with the Victorian Era. I have studied it several times in school and done my own research and read so many Victorian novels and Victorian-inspired novels and I JUST LOVE THE VICTORIAN ERA OKAY? This is important for you to understand. 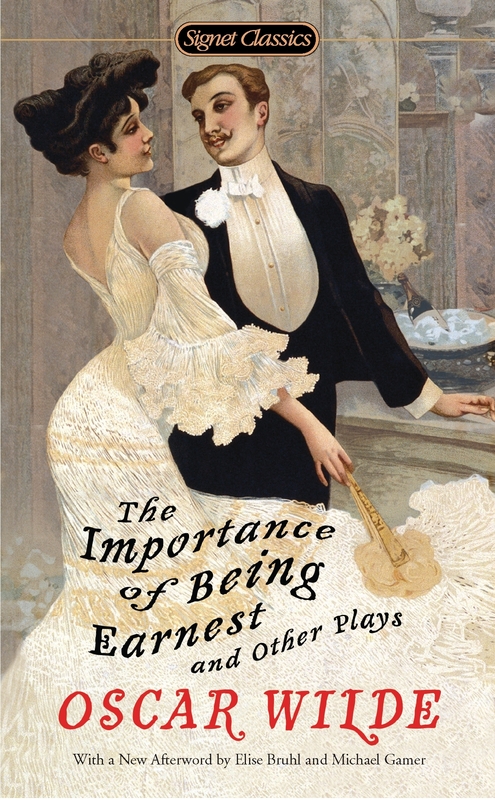 Published at the tail-end of the Victorian Era, The Importance of Being Earnest is very much a product of its time. Well, it’s mocking the other products of its time. Oscar Wilde is the literal master of satire and is so savage with his criticisms, but in the most humorous of ways. This, really, is why I love it so. I love its place in history and I love understanding what exactly Wilde is hinting at in his writing. If you really want to get the humor out of this play, I would recommend learning a bit about Victorian society and culture. How you can sit there, calmly eating muffins when we are in this horrible trouble, I can’t make out. You seem to me to be perfectly heartless. Well, I can’t eat muffins in an agitated manner. The butter would probably get on my cuffs. One should always eat muffins quite calmly. It is the only way to eat them. I say it’s perfectly heartless your eating muffins at all, under the circumstances.